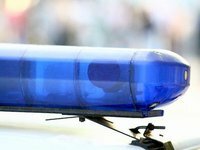 The launch of the traffic patrol service in Ukraine is scheduled for summer 2017, while its formation will be completed by the end of next year, Deputy Head of the National Police of Ukraine Kostiantyn Bushuyev has said. "We expect the full-fledged functioning of the service [traffic police] from summer, the final second stage of formation is to be completed in December 2017," Bushuyev said. He noted the functional duties of traffic police officers will include ensuring traffic safety. In particular, the police will widely apply administrative laws, and respond to crimes recorded in the patrolled area. In addition, he said a number of legislative amendments have been registered in the parliament, which should allow the police implementing the projects of automatic record of offenses.